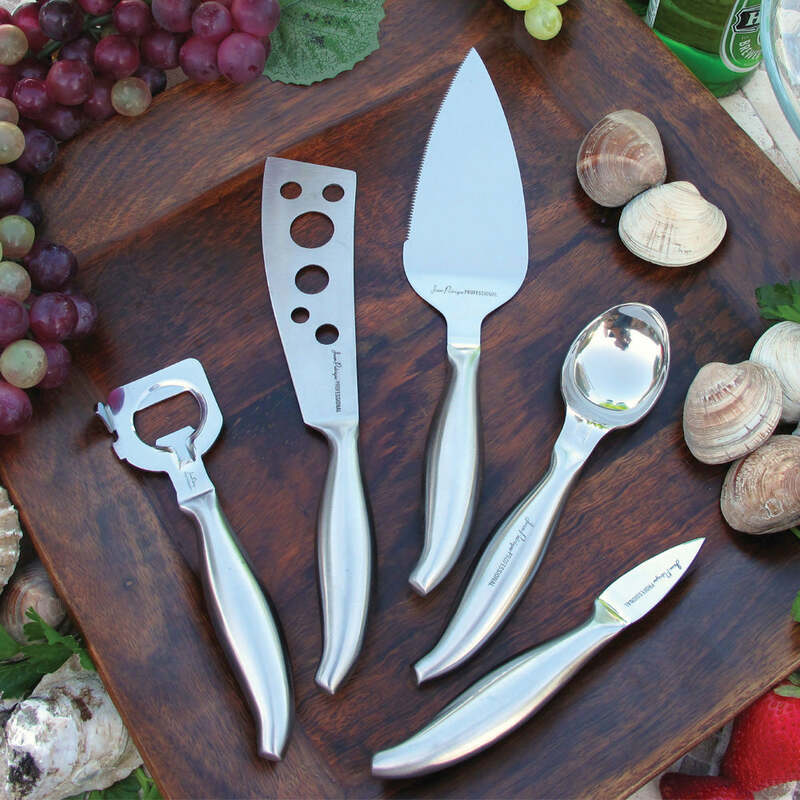 The Midas 5 Piece Knife Set is stylish and useful. Make a statement with this unique blush gold knife set sitting on your counter top. Are you tired of rummaging through drawers? Our knife block means your equipment will look stylish and tidy but will always be right where you need it. We even offer a 25-year guarantee on this product so you know you are making a worthy investment. CAUTION: Sharp – Handle with care. Cleaning and care: For best results hand wash and dry completely before storing. PRECISE – Our specially designed handles mean you can cut and slice comfortably, even with the trickiest of jobs. SLICK STORAGE – No need to rummage through a drawer to find your favourite knife. Display your knives neatly in our blush light gold block, a stunning addition to any work top. 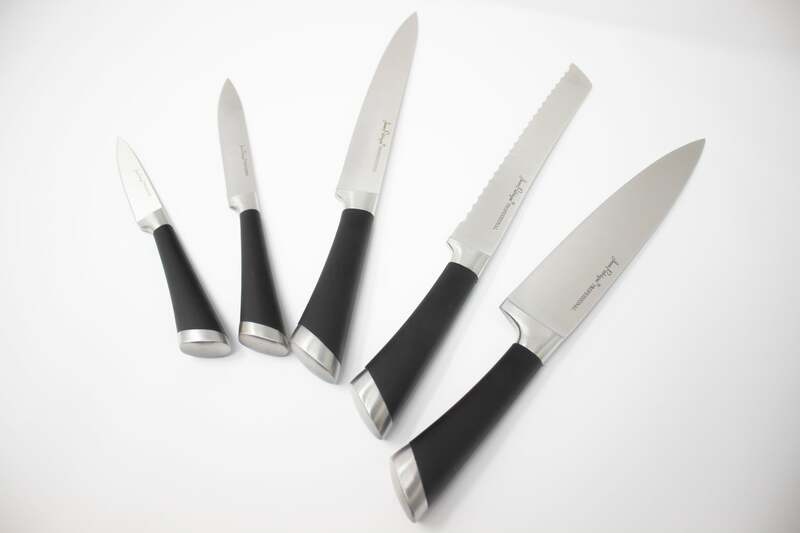 MULTI-USE – Our knife set includes serrated blades, chef’s knives and smaller blades, so you’ll have a stylish solution to every slicing need. LONG LASTING – We believe in the durability of our knife set. We offer a 25-year guarantee on this product.